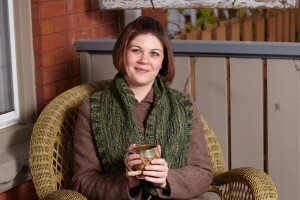 Today’s Gift-A-Long interview is with Amy van de Laar of Baroque Purls, a new-to-me designer discovered through the Gift-A-Long. 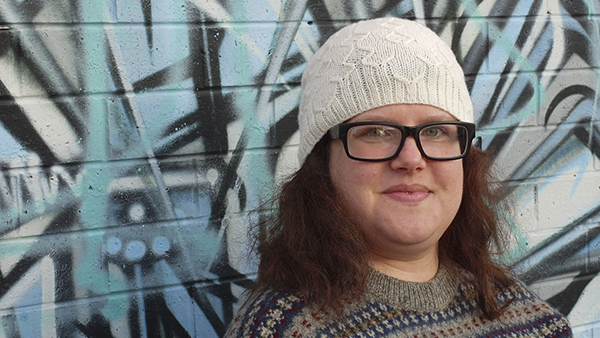 Amy is a Melbourne, Australia-based designer. One day back in 2010, I had an idea for some colourwork mitts. I charted out a star pattern, and figured it all out as I went. Then I started getting ideas for scarves, and then hats, and it was all on! 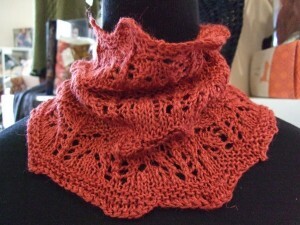 I chose my blog/business/Ravelry name ‘Baroque Purls’ because it combines my main obsessions: music and knitting. My favourite musical era is the Baroque, because that’s when Monteverdi and Bach were composing. As a singer, I also love the freedom the Baroque style allows, in terms of interpretation of the music and text. And Baroque ornamentation is heaps of fun! 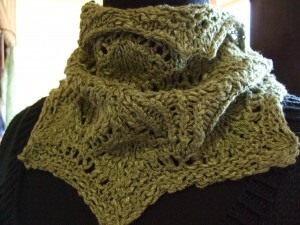 Often it’s a special yarn, or colour combo, or an interesting stitch pattern. I’ll play with the initial ideas, and often they’’ll end up linking with something from the natural world or pop culture. So far I have designs inspired by honeycomb, Daleks, rainbows, ferns, Tetris, waves, stars, vinyl records, and origami! I also have plans for some music-inspired designs in the future. Which comes first – the yarn or the inspiration? Sometimes I start with some special yarn that I want to really make the most of. But mostly, I tend to get inspired by an idea for a stitch pattern, and I start off by sketching and charting stitch patterns and playing around with them. This invention process is the most fun part of designing, for me. What characteristics do you try to incorporate in your designs? 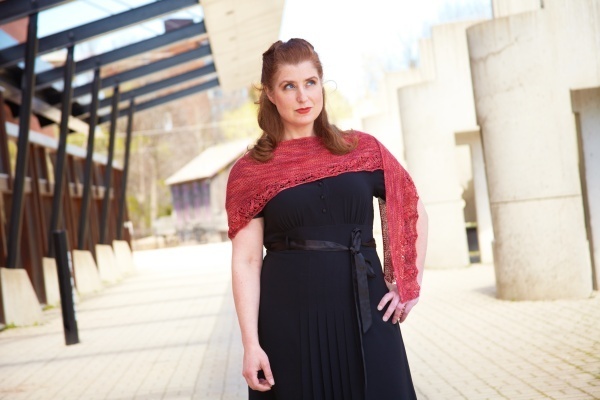 Fun, colour, and joy in beautiful yarn! Also, as a person who enjoys complicated things (major example: my taste in music), I need to work at simplifying things a lot when I’m designing. 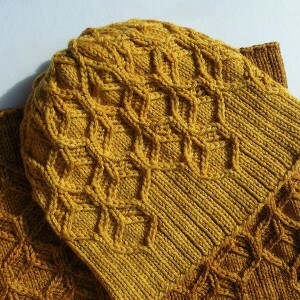 When I hear from a knitter that they’ve used one of my patterns for their first colourwork, or their first cabled project, it’s really satisfying! What is your favourite type of item to design? Wow, tough question! Do I go with the most versatile, or the most luxurious, or the most inspiring colours… The most luxurious would have to be Zealana Air, which is a cashmere/possum/silk blend that feels amazing! 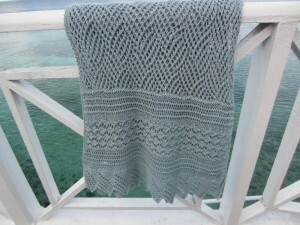 As for versatility and great colours, I’ll have to go with Vintage Purls Sock, by a great NZ indie dyer. I have an embarrassingly large stash of this, for shawl and sock knitting. I’m also using it for my main GAL project, a short-sleeved sweater. 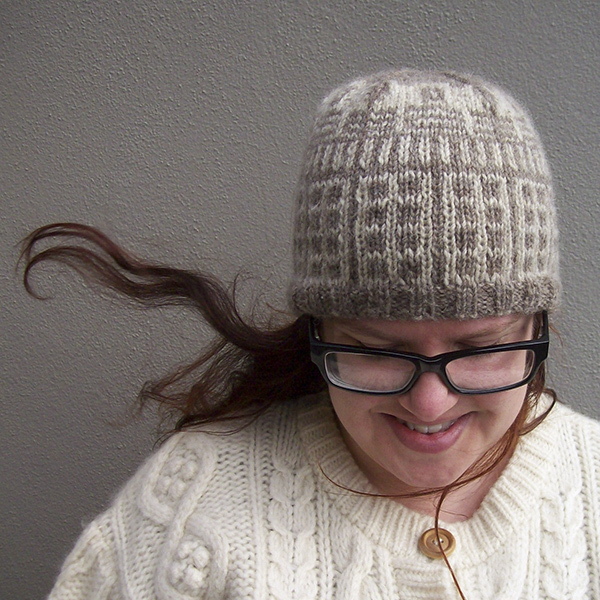 Something simple enough that I can do it when tired or sick – a fairly plain sweater or hat or scarf that I can knit mostly on autopilot, preferably while watching a documentary or something. 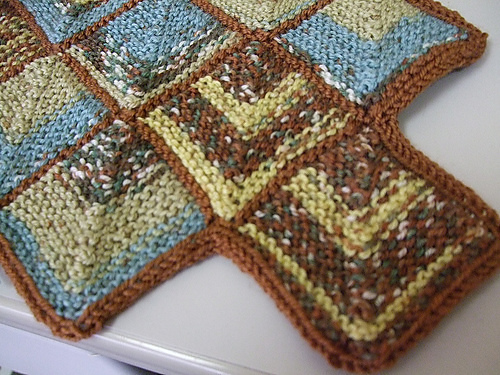 Complicated stitch patterns are exciting, but I’m not always up for that! I like having a few projects on the go, so I can choose my concentration level. Which is your most under-appreciated design? 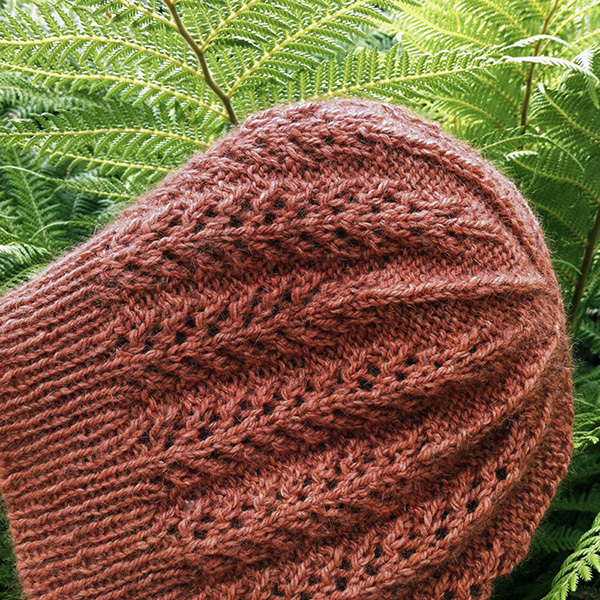 I love my Bushwalk Beanie hat with its fern-frond-lace pattern, but it hasn’t been knit very often. If you’re tempted to try merino-possum yarn, you’ll only need one ball to make this hat (I love possum-blend yarn). 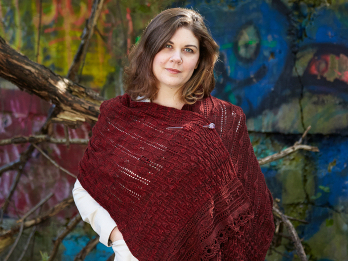 My Seaswell shawl is another design that hasn’t caught on (yet!) 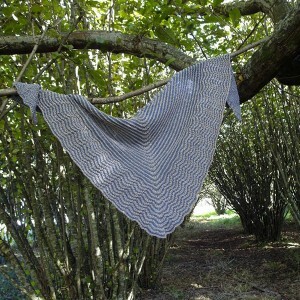 – it’s a striped triangular shawl knit in recycled cotton yarn. Living in Australia, I’m always on the lookout for warm-weather-friendly knits. Which three GAL designs are top of your list to cast on? 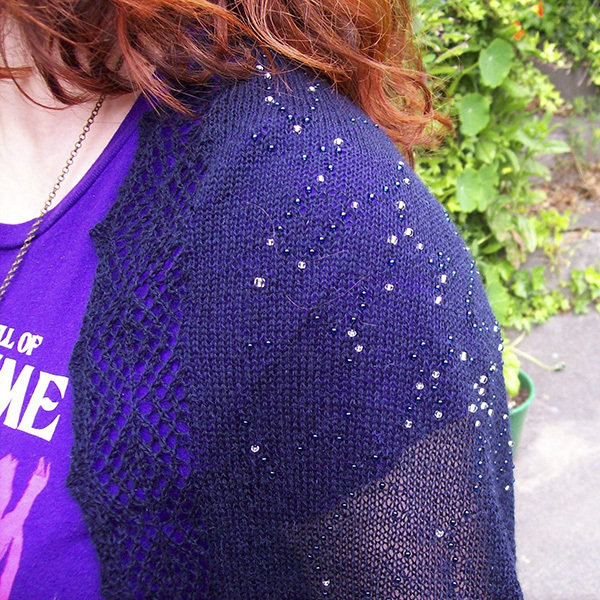 I’m nearly ready to cast on a Park Slope tee – I just need to measure my swatches and finalise which size to make. If I have time, I’d also like to make some Fightin’ Words mitts for a certain comics-lover in my household, and one of cheezombie’s toy patterns. I’m torn between Sheepish Toy Pattern and Garden Slug! 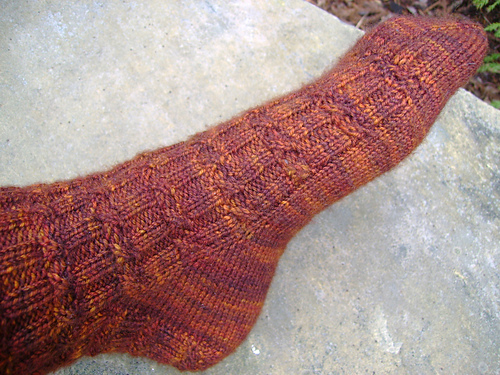 English, but I can knit Continental when I’m stranding with both hands (which is magical). Actually, that’s a lie – the best thing about knitting is playing with colour! What’s the one piece of advice you’d like to share with other knitters? Don’t be nervous about trying new tricks! There are so many helpful resources out there these days. 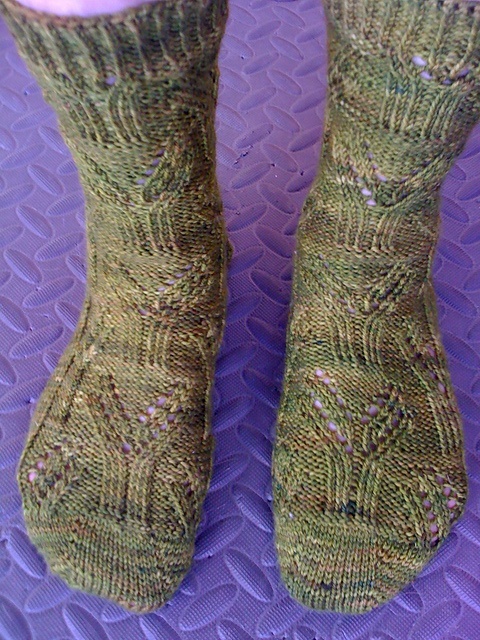 Ask around on Ravelry, search Youtube and blogs, visit the library, or take a class. Any knitting/designing New Year’s resolutions? I want to try more lace designing, and make more garments for myself. My Ravelry queue is ridiculous, and I have a couple of sweater-lots of yarn waiting in my wardrobe. View all of Amy’s patterns here. All photos, except for the Snowflake Hat and Insulate!, are copyright Amy van de Laar, Baroque Purls. 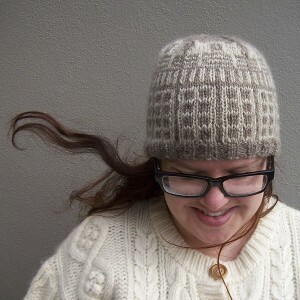 Photo credit for Snowflake Hat and Insulate! – Willie Lewis. All images used by permission. What is the Gift-A-Long? The GAL is a big knitting and crochet designer promotion with prizes and more than 5,000 people participating in a giant KAL/CAL. 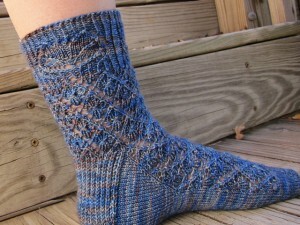 Come join in GAL group on Ravelry! I love the Beeswax Hat.